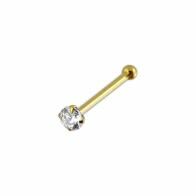 Our gold body jewelry collection contains the best gold nose pins. 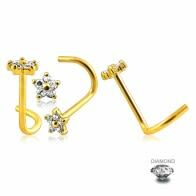 They are done in 14K solid gold and embedded with diamonds. 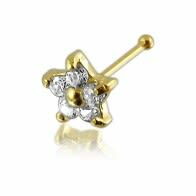 The gold used is of the finest quality and the diamonds are absolutely authentic. 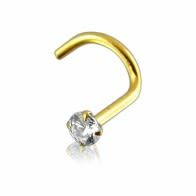 Twist/screw nose pins, studs, fishtails, nose bones are the varieties of 14K diamond nose pins offered by us at reasonable prices. Our 14k gold nose pins are also available at best price.